If the 2017 Toyota Corolla was somehow competing on a reality TV show it''''''''''''''''d probably be voted off in the first few rounds. It''''''''''''''''s just not an attention-grabbing kind of car. But for a majority of small sedan shoppers, having a car that avoids histrionics is exactly the point. If you''''''''''''''''re somebody who just wants to set it and forget it with a minimal amount of fuss, chances are you''''''''''''''''ll find plenty about the 2015 Corolla that''''''''''''''''s to your liking. Coming after a complete overhaul last year, the latest Corolla''''''''''''''''s restyled exterior won''''''''''''''''t exactly blow your hair back, but the fresh interior is a big step forward, bringing a newfound sense of style along with widely available niceties like a user-friendly touchscreen and automatic climate control. The backseat''''''''''''''''s cavernous legroom gives the compact Corolla near-midsize passenger space, while the continuously variable transmission (CVT) enables stellar fuel economy. 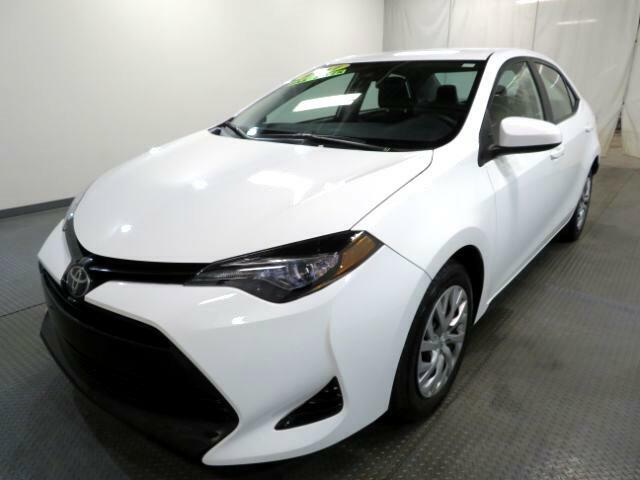 Throw in the Corolla''''''''''''''''s pretty high crash test scores and its historically robust reliability and you''''''''''''''''ve got pretty much everything most people need and want for a small sedan.